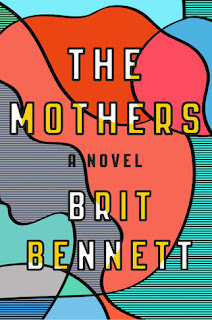 I don't remember first hearing about Brit Bennett's debut novel, "The Mothers," by I remember the buzz building throughout 2016. It helped that Riverhead (the publisher) designed a fantastic-looking tote based on the cover art to help promote the book, but too many early reviewers were raving about this for the popularity to be based solely on good marketing. In fact, so many early reviewers raved throughout the year, that by the time its October publication rolled around, I felt I was the last to read it! Luckily, Book of the Month offered it as an October selection, so I was able to get my hands on a copy quickly. I ended up saving it for my honeymoon when I could devote my full attention to it. This was the right choice for the wrong reason. this book is engrossing. Bennett writes simple, accessible, but beautiful prose. Once I started, I could not put it down. Luckily, I was able to focus on reading it in 24 hours while on vacation! The novel opens in a small black church community in Southern California, shortly after Nadia Turner's mother has committed suicide and Nadia has started a relationship with Luke, the preacher's son. Soon, Nadia gets pregnant and decides to have an abortion. Though their abortion is kept a secret, its ramifications ripple through the years, impacting their relationships with each other, their families, their friends, and the larger church community. The church mothers collectively narrate the book, offering their commentary and perspective that has been shaped largely by rumor. Yet the book offers more than a rumination on secrets within a community, exploring also the evolution of a powerful female friendship and how our struggles and secrets can unite or isolate us from those we love most. Verdict: Affirmed. One of the best books I read in 2016, I highly & widely recommend this debut novel. 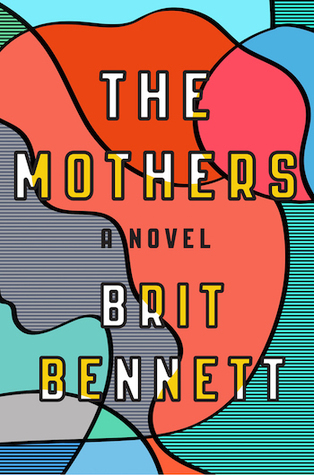 "The Mothers" by Brit Bennett, published October 11, 2016 by Riverhead Books.